Ghana’s Energy Goals: What next after universal access? The Government of Ghana has adopted the UN’s SE4ALL initiative as a vehicle for its National Energy Policy developed in 2010 and revised by successive governments. Despite regular bouts of serious outages (known as ‘dumsor’), Ghana has one of the strongest power sectors in the region. Structural reforms mostly complete. Electricity sector reforms unbundled the dominant Volta River Authority (VRA) about a decade ago to encourage competition and attract private investment. Currently, VRA generates power at the Akosombo dam (a 1,020 MW facility built in 1965), while the Ghana Grid Company (GRIDCo) is the national transmission parastatal. Distribution is handled by the Electricity Company of Ghana (ECG) in the south and a separate (VRA-owned) company in the north. Universal access to electricity by 2020. This remains a top priority and the last decade has seen household access increase from about 66% in 2008 to 85% in 2018, with the government hoping to reach near 100% by 2020 (Figure 1). 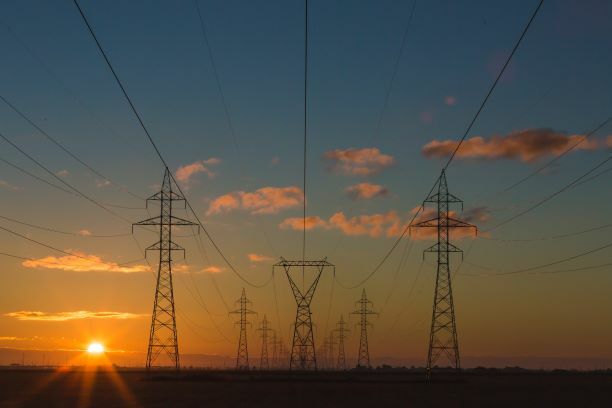 Recent progress has been primarily through the Self-Help Electrification Programme (SHEP), a last-mile connectivity initiative for communities within 20 km of existing 11/33 kV grid lines. Some remote areas and islands have also benefited from minigrid pilots. Become a Major Exporter of Electricity in West Africa. This ambitious goal encouraged the signing of multiple power purchase agreements (PPA) and the entry of private producers, driving installed electricity generation capacity to 4,443 MW (close to the 2020 target of 4,600 MW). 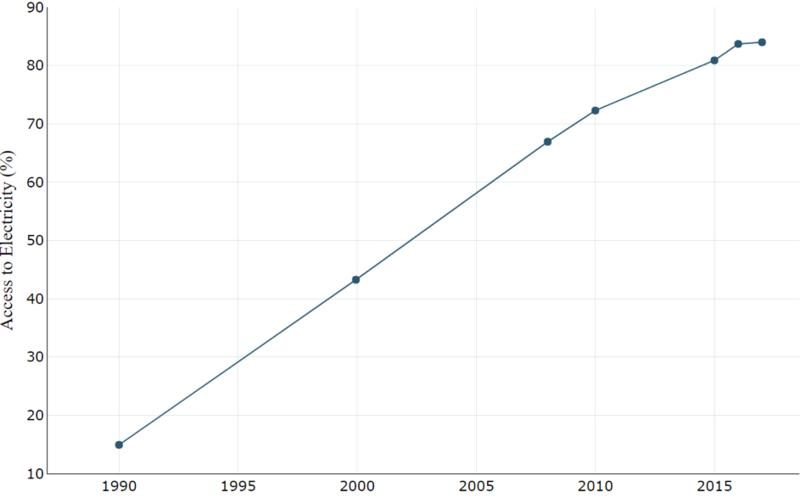 So far, Ghana has been a net exporter in 9 out of the last 10 years. Non-Hydro Renewable Penetration of 10% by 2030. The passage of the Renewable Energy Act in 2011 enabled feed-in tariffs, net metering, and a master plan to boost the sector. 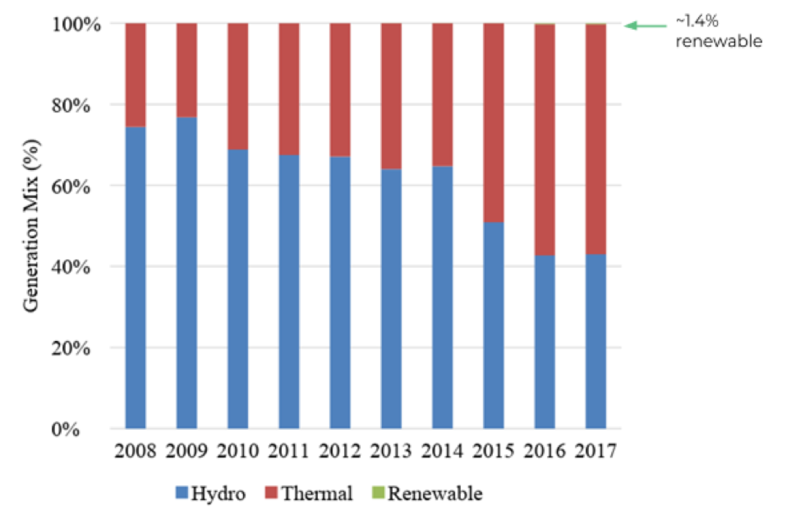 Currently, modern renewable energy sources (outside of hydro) amount to only 64 MW comprising mainly large and small solar PV and one waste-to-energy plant near the capital (Figure 2). While the government seeks to increase utility-scale renewable energy, there is currently an oversubscription of PPAs based on feed-in tariffs, forcing the government to halt any new such agreements. Instead, the government hopes competitive tendering will result in lower-priced electricity. 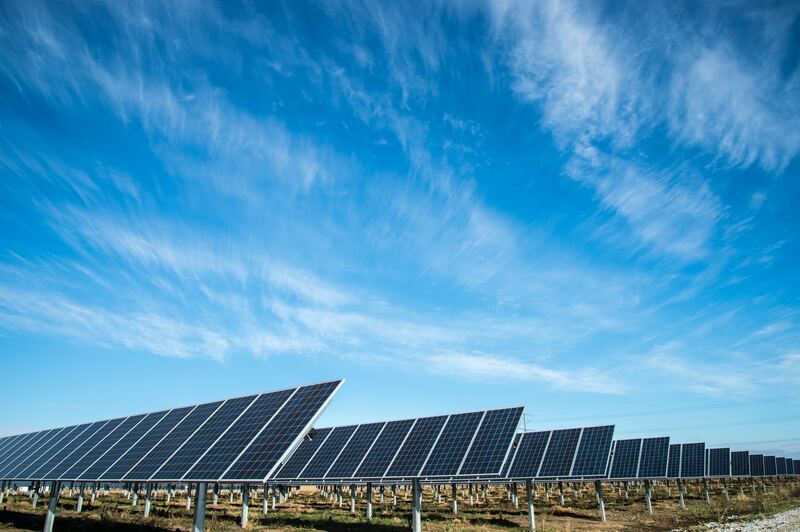 Net metering pilots could also boost distributed generation. Conclusion. Ghana has made impressive progress on residential access to electricity. Energy policy is now turning to the trickier issues of cost, reliability, and regional competitiveness. Next Next post: Gas Flaring: Why does it happen and what can stop it? 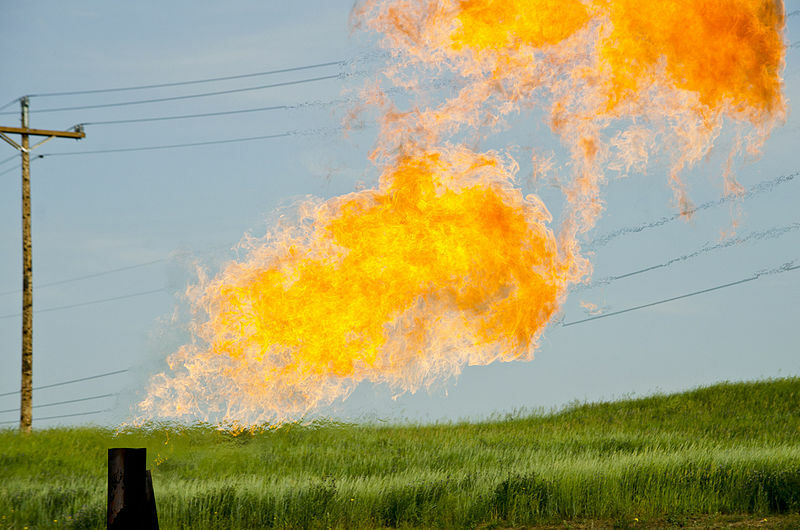 Gas Flaring: Why does it happen and what can stop it? When natural gas is brought to the surface but cannot easily be used, it is burned for disposal or “flared.” Flaring mainly happens when gas is produced as a byproduct of oil extraction. 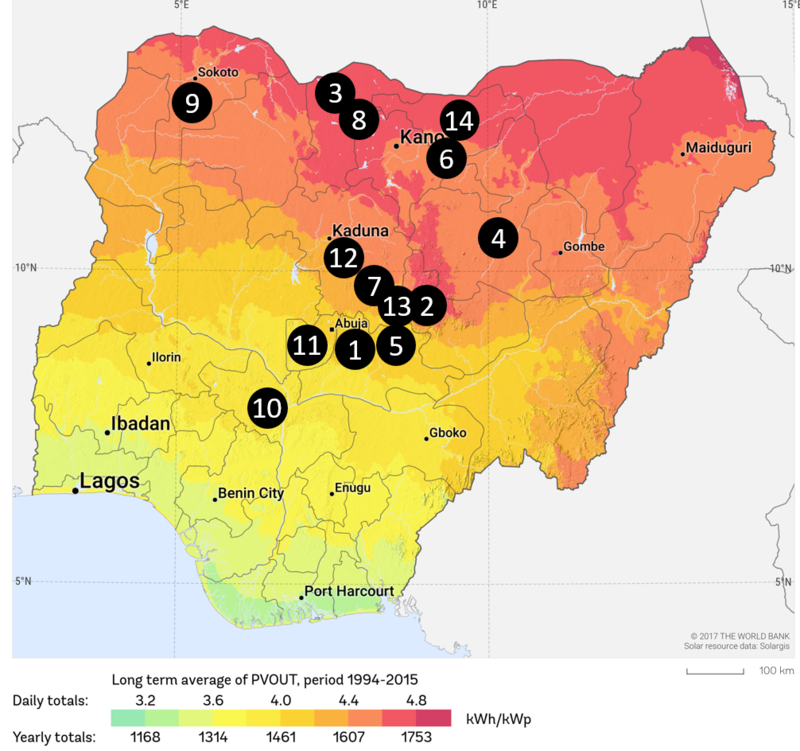 Given pervasively high electricity tariffs across the region and rapidly falling CAPEX costs, utility-scale solar may be a profitable cornerstone solution to Sub-Saharan Africa’s energy needs. But large-scale solar projects face major execution barriers that cause high pipeline attrition. WEF: Is sub-Saharan Africa ready for the electric vehicle revolution? Originally posted on World Economic Forum. Africa is urbanizing faster than any other continent, at a rate of 4% every year, compared to the global average of 2%.